Description :-This easy-to-use Italian model stamping machine can be used for stamping, cutting, punching, and forming. Made from durable material for long lasting life. 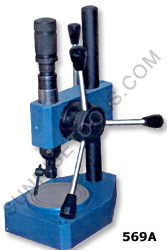 Description :-This compact device is ideal for square stamping. Position ring over nylon anvil and tap the stamp using a mallet. Soft nylon anvil presents mars on the rings. 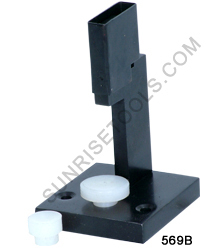 This Ring Stamping Device comes with two nylon anvils. Description :-This curved stamp is used to mark the inside of rings with Jewelry Marking Press. 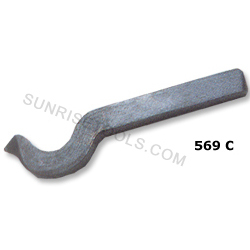 Made of durable carbon steel insures a long life. 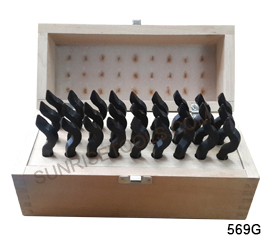 Description :-This Professional Inside-Ring stamper can engrave english letters, numbers, bright initials, dates or phrases, onto the inside of many different ring shapes, including narrow. 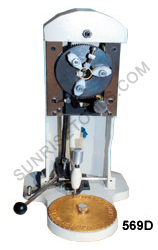 This high quality ring stamper is easy to operate and provide Reliable Performance. 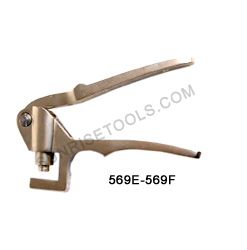 Description :-This ring marking plier is made from superior quality stainless steel and used for marking curved and flat surfaces of rings. Insert a stamp in one jaw and an anvil in the other and stamp ring after ring quickly, easily and without distortion or marring. 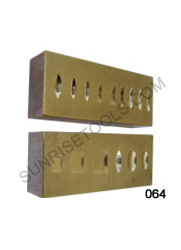 Description :-This Double sided block is made of Brass and used to securely hold shanks in place while stamping. This anvil really is very nicely made, heavy, and well finished. Description :-These stamps are made with carbon tool steel and used to stamp your name, initials or personal ID on most metal surfaces. Also these stamps are hardened and tempered to provide extra strength and durability. All these stamps come complete in a stylish wooden box to keep them together and organized.